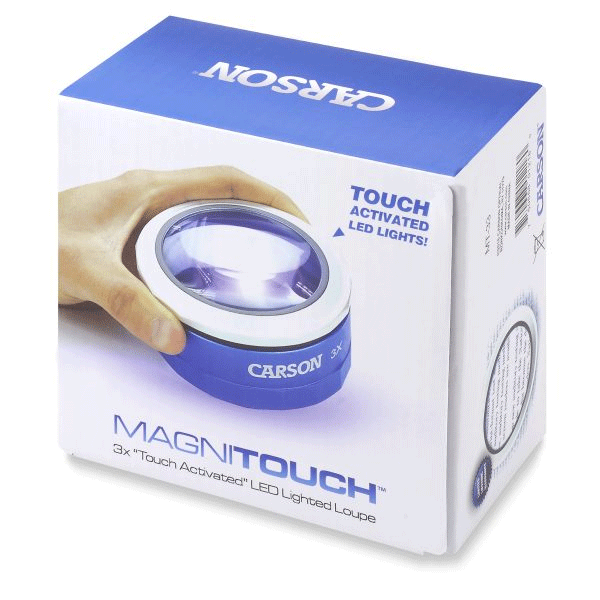 MagniTouch is a 3x power touch activated loupe. It has 3 super bright LED lights and a crystal clear glass lens. Use the on/off switch for “steady” light setting. 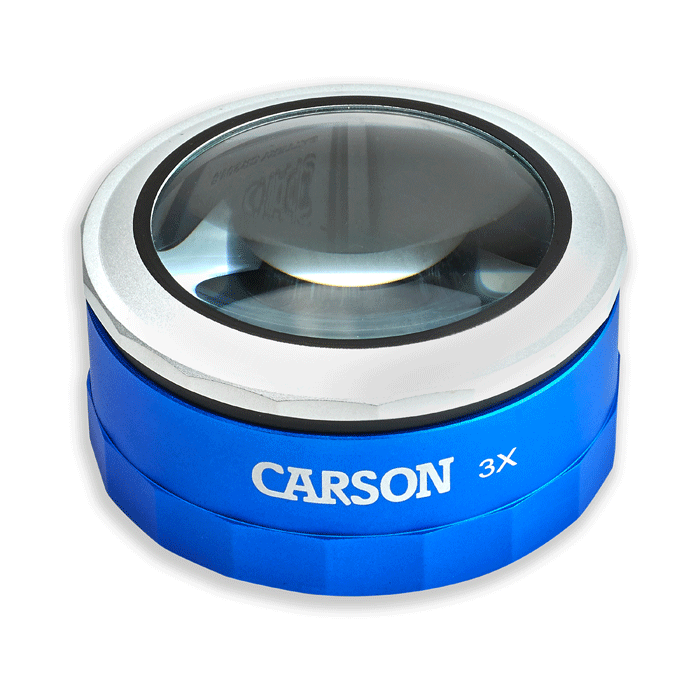 The twist-action focus allows you to “zoom-in” for greater detail. 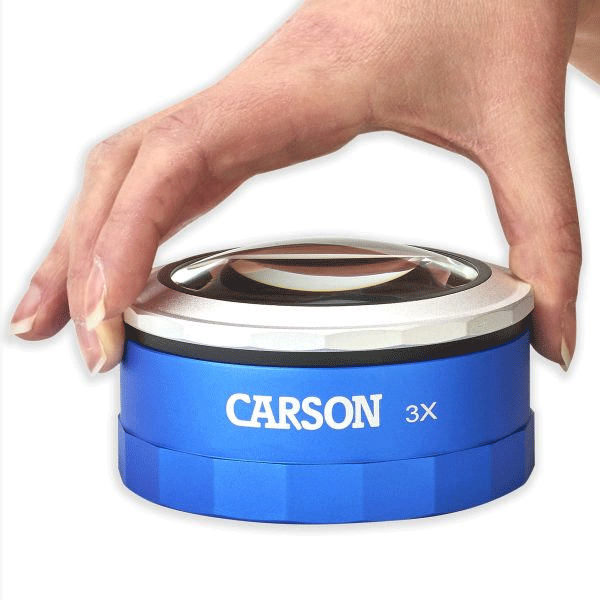 The MagniTouch is a great Magnifier for detailed inspection, to view stamps and coins and for reading fine print or as a desk accessory. 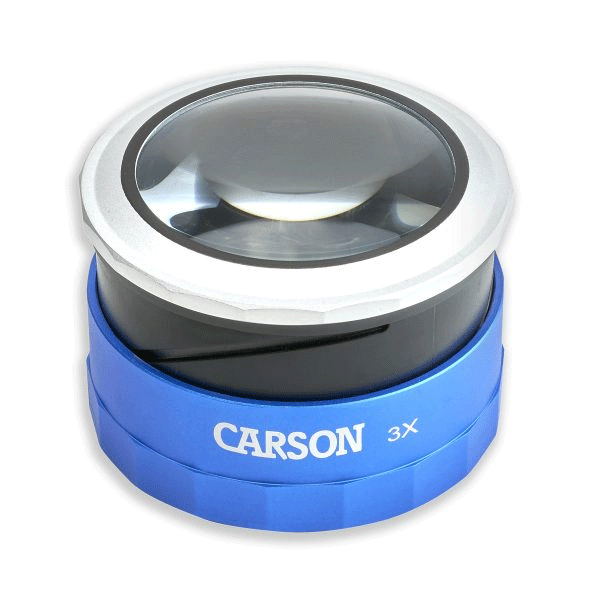 Uses 2 CR2016 batteries (included).